is to build a warm, supportive classroom community in which each child is a valued member. 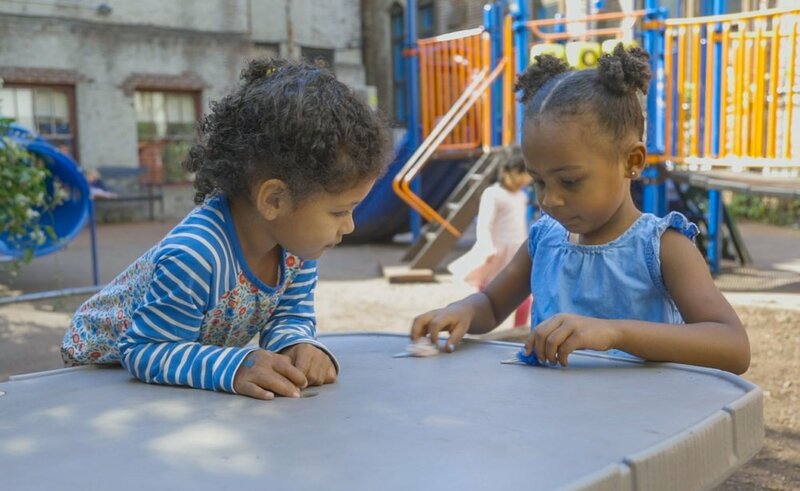 as a cooperative preschool in a single classroom, Beansprouts has grown into a significant neighborhood resource for children and their families. We offer a comprehensive program which promotes physical, emotional, social and cognitive development. Our classrooms belong to the children and our teachers serve as guides and mentors. It's a place to share in children's experiences, celebrate their families, and reflect their interests. Beansprouts teachers guide our children with insight, skill and enthusiasm. Our thoughtfully selected faculty provides a safe, caring and supportive environment to help children flourish. We believe in building children's authentic self-esteem, both through the mastery of problem solving and communication skills, and through the development of friendships in a warm community setting. Our school belongs to our children. Teachers serve as guides and mentors. Our school addresses all aspects of a child's development - the physical, social-emotional, cognitive, and language domains - that lay the groundwork for future academic learning. We believe young children learn best through hands-on experience and engagement in content that's meaningful to them. children spend their days playing and sharing in a structured environment designed to stimulate their curiosity and build on successful experiences. Our children learn through hands-on engagement and are encouraged to express themselves. "Use your words" and "you have good ideas" are phrases that teachers commonly share with the children.